As the UK platinum partner for Stratasys, SYS Systems supplies its full range of world-leading 3D printing machines, products and software across sectors such as automotive, aerospace, pharmaceutical, healthcare and education, including to household names like Speedo, McLaren Racing and Jaguar Land Rover. The one of a kind event will operate on a drop-in basis, with several one-hour application seminars each day, and represents a perfect opportunity for people to find out from industry experts how the latest 3D printing technology might help them. So if you’ve got time to spare, whether it be on your lunch break or in between meetings, pop in and see what 3D printing can do for you. 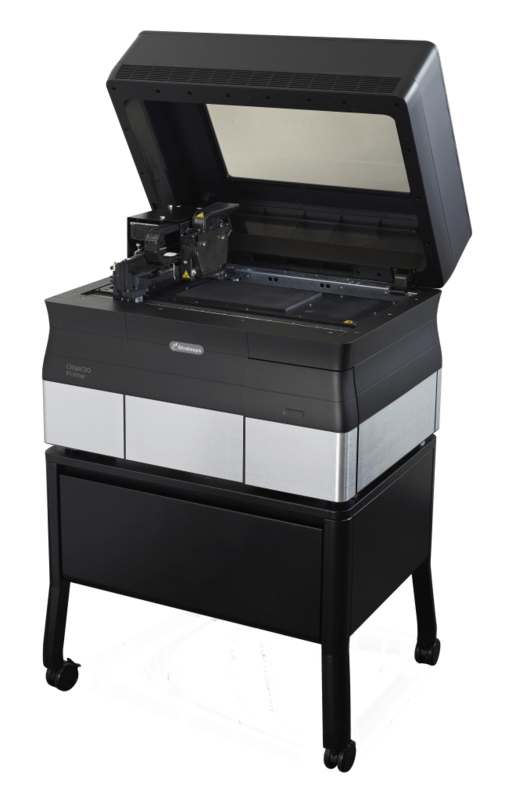 Visitors to the MTA will be able to see the Stratasys Objet30 Pro in action, a desktop system ideal for accurate and versatile consumer goods prototyping. Its offering includes a choice of eight various 3D printing materials, including clear, high-temperature and simulated polypropylene, and boasts the industry’s best print resolution to create realistic models quickly and easily. A Stratasys representative will also be on hand, with free refreshments available. So whether you’re a small studio needing to visualise and hone your next design, or a multi-national manufacturer tasked with perfecting your next product launch, come along to the pop-up show and challenge us – our mission is to find a solution that works for you. Located in the heart of London, the MTA’s headquarters at No.62 Bayswater Road is a contemporary conference and meeting facility within an impressive Victorian building. Overlooking beautiful Hyde Park, the venue is just metres from Lancaster Gate underground station, and a short walk from Paddington mainline railway station, The MTA building is conveniently positioned for visitors from London, or further afield.